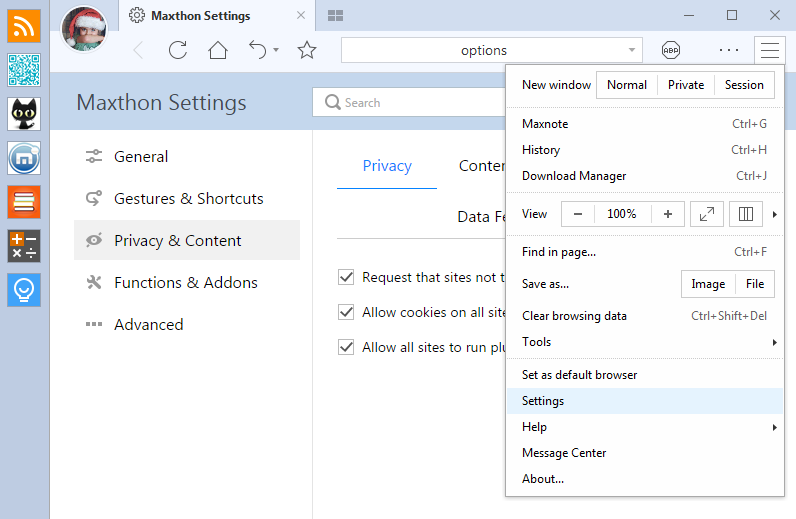 Hi Maxers, how many years have you been using Maxthon browser? How much do you know about this browser? I believe that you guys have been the veteran players in our community. However, the topic I bring up today is easily to be omitted but is still very important for every one of you: the privacy settings. To make MX5 smarter and more “considerate”, some privacy and content settings are turned on by default, but of course you can choose which you’d like to turn on or off. This blog is just to help you know better about the purpose & function of each setting, so that you can make full use of each option without worrying about data privacy. Most of the privacy settings are located in Menu>Settings>Privacy & Content, so today our topic will center on this part. You can open this panel in a new tab now if needed. Request that sites not track you: MX5 allows you to tell websites that you do not want them to track your browsing behavior. Most major websites track their visitors’ behavior and then sell or provide that information to other data companies. This information can be used to show ads, products or services specifically targeted to you. 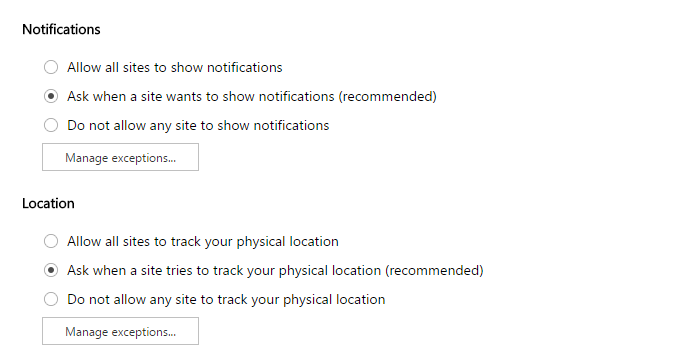 But if you check this box, you are telling all websites opened in MX5 that you wish to opt-out of tracking by all advertisers and other third-parties. Maxthon is always a company respecting the interests of people and their online privacy. Supporting Do Not Track (DNT) is a right we offer to our users and the millions of fans who continue to offer their support to Maxthon. You can see our announcement about DNT in 2012, and more articles are also available if you search “Do Not Track” in our blog. Allow cookies on all sites: By checking this box, you agree that your information on all websites could be stored on your computer, allowing these sites to present you with information customized to fit your needs. Many people feel worried about Cookie, but it may be not as horrible as you imagine. Though Cookies can store much of your information, websites cannot gain access to this information if you don’t provide to them.? Allow all sites to run plug-ins: After checking this option, plug-ins you installed will be activated for all sites. You can also disapprove that by unchecking this box. 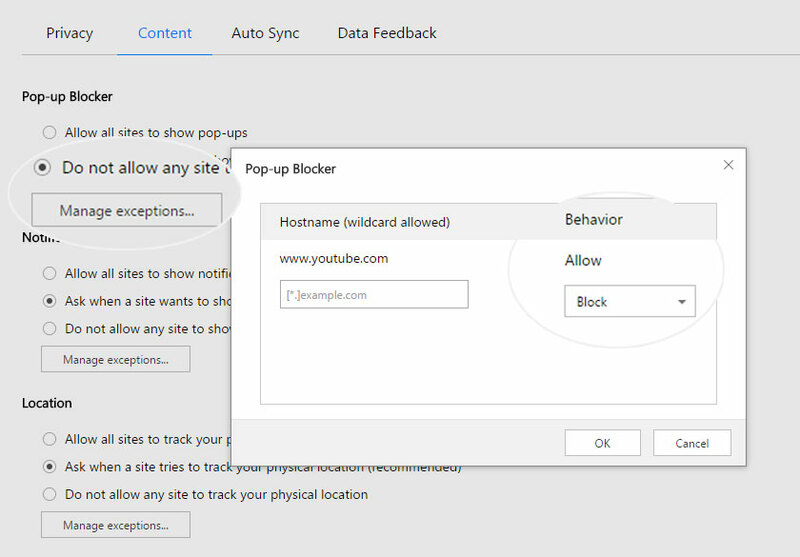 Pop-up Blocker: This option gives control over pop-ups. Maxthon offers humanistic choices for you: even though you choose “Allow all sites to show pop-ups”, you can also block pop-ups for certain sites by Adblock Plus (ABP) button; If you choose “Do not allow any site to show pop-ups”, we offer exceptions managements for you. Notifications: It refers to the small notification window on the lower right corner of your browser. You can choose “allow all”, “block all” or “ask when necessary”. Exceptions are available. Location: Some sites may need your physical location information, and you can decide whether to allow that here. Exceptions are available. 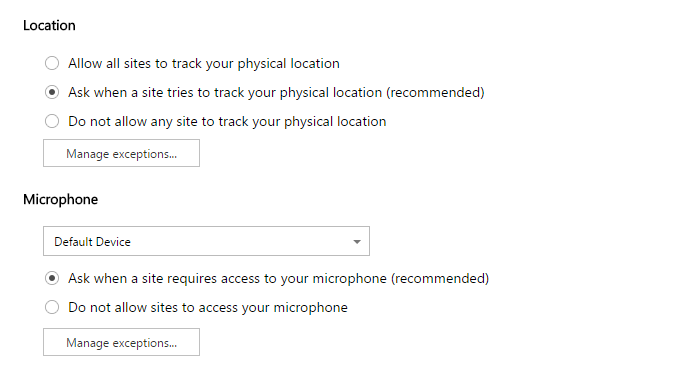 Microphone: Some sites may need to access your microphone, for example, Google Hangout and you can decide whether to allow that here. Exceptions are available. Camera: Some sites, for example, Google Hangout may need to access to your camera, and you can decide whether to allow that here. Exceptions are available. For Notifications, Locations, Microphone, Camera, we all recommend you to choose “Ask when necessary” to be aware of all permissions without sacrificing privacy. 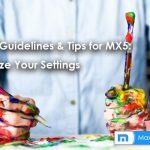 Same as MX4, MX5 is also cloud operated, so you can sync your data to the cloud as long as you have a Maxthon account, and Auto Sync function is an option that helps sync your data to the registered account automatically. If it is unchecked, your information will neither be uploaded nor downloaded but only saved in your local devices before you click “sync” button manually. Some users don’t want the passwords to be synced automatically, so we make it available that you can choose the items for Auto Sync. Click “Advanced Auto Sync Settings” to make your choice! This is the last but maybe most important issue I want to talk about today. We highly value users’ privacy and as mentioned many times previously, this is one of our top priorities. All data feedback will be collected with users’ awareness and permission, and this data will ONLY be used for us to gain a deep understanding of users’ behavior, and improve the overall browsing experience based on that. It will never be leaked or sold to any third parties. 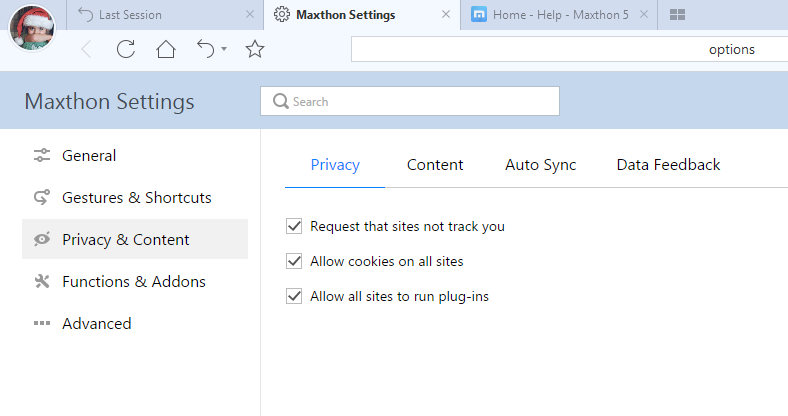 Send browser usage and button-click statistics to Maxthon: By checking this box, you will allow Maxthon to collect your button-click statistics and other browser usage statistics. It is purely for statistics purpose only. 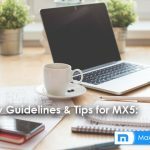 This helps us know better about which functions in MX5 are frequently used while others less used, thus enabling the product team to make decisions like whether to remove certain functions or not. Enable Smart Address Bar to provide intelligent input recommendations (search terms and URLs): This is a support for Smart Address Bar function. If you are familiar with this function, you will know that Smart Address Bar will store your search and browsing history with multiple encryption technology so that our browser or the search engine you use for suggestion services can smartly display the websites you may want to visit and provide suggested websites and trending content you may like. Enable URL auto-completion: It refers to whether you want MX5 to auto-complete the suggested websites or trending content as above. If you check the last box, I suggest you check this one, too. Enable secure URLs scan, protect browser and local machine from threatening sites: If you enable secure URLs scan, we will scan and check the security of the website you visit and send notifications or alerts for malicious websites. We never store the websites scanned and we don’t share that information with any third parties neither. Because of this security check, we have prevented our users from visiting millions of fake and malicious websites since 2005. So I recommend you to enable it. Enable Switch browser core, easy to access Bank/OA and other sites that do not support Retro? Mode: As you know, Maxthon is the first browser in the world to deploy this dual-core switch technology. Through a code-level analysis of the website, Maxthon recognizes which core is more capable of rendering it. 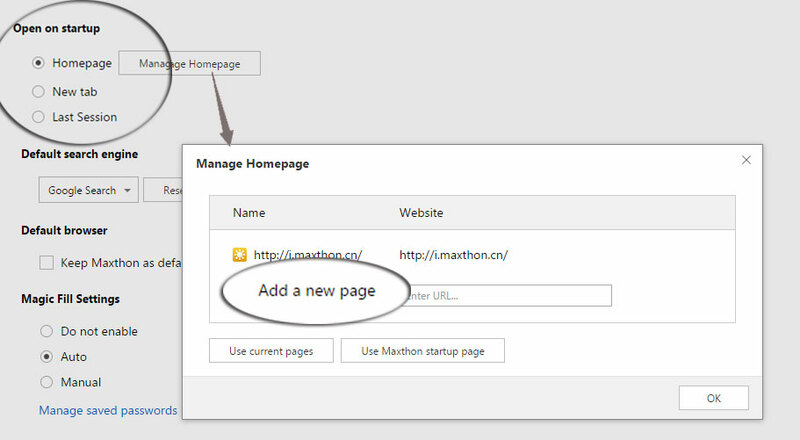 This feature enabled, Maxthon will store the anonymous website and correspondent core data on our server. Check compatibility of software, easy to locate malicious software and compatibility issues: The security, stability and compatibility of the browser can be affected by other software in the system. Some malicious software hijacks the browser startup page set by users. Some of them create compatibility conflicts with the browser due to version update. 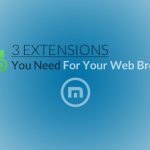 To ensure Maxthon browser performs well, we occasionally collect anonymous information on the software installed in the system. You can decide whether to check it or not. Above is the four parts of Privacy & Content panel, hope it could give you a further understanding of MX5’s privacy settings. 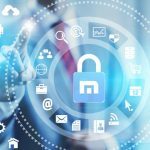 Maxthon did many efforts to create a more secure and private Internet environment for our users, UUMail and Passkeeper are just compelling evidence for that. In future, we will continue to take users’ information security at first priority and never let you down. how to send a notification to a user through a browser? 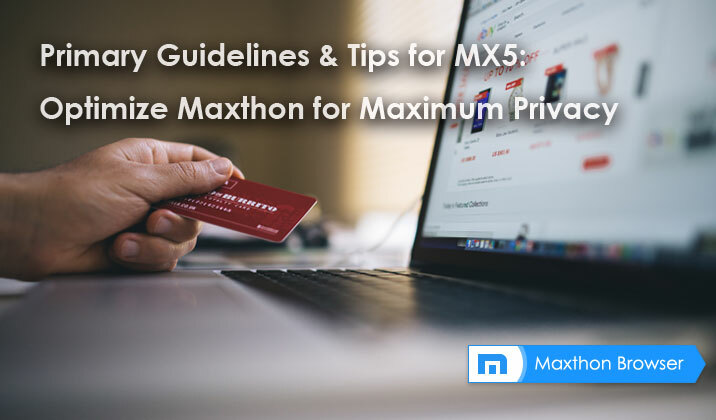 Hi, do you mean you need a function like private message between Maxthon users? I’m afraid this is unavailable now but it sounds interesting!